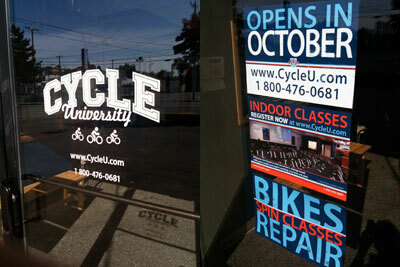 Cycle U is opening a new location in West Seattle. Cycle U offers indoor training and coaching. In this location, the services include bikes and a shop with clinics and more. Great news to see another bike shop opening in the Seattle area and also that it’s in a former car dealership. I posted on re-cycling GM dealerships earlier this year and, well, there ya go.